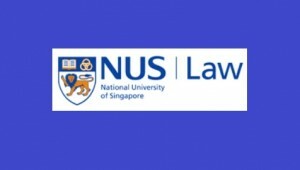 National University of Singapore (NUS) Faculty of Law hosts an international workshop, Martin Loughlin’s Foundations of Public Law–a Critical Review, April 13-14, 2015. Foundations of Public Law (Oxford University Press, 2010) is ‘an account of the foundation of the discipline of public law with a view to identifying its essential character’. This book effectively refines the Anglophone discipline of public law, changing it from a court-centric doctrinal jurisprudence concerned with judicial review of state actions into what Loughlin refers to as a ‘political jurisprudence’ (a political ‘grammar’). The result is Anglophone legal world’s most ambitious attempt to affirmatively locate the place and role of politics in the national constitutional-legal order. The workshop will critically examine Foundations from a variety of perspectives, include theoretical perspective (e.g., the theory of the state, constitutional theory, the theory of political jurisprudence); the perspectives of particular regimes (e.g., ‘global-southern’ experience, the legal transnationalization, the EU); and from critical perspectives (e.g., economic constitutionalism, the public-private divide, pluralism).